The term ‘photoshopped’ is as common as ‘googling’ these days, but the most powerful photo editing software sometimes gets a bad rap for its presence in media manipulation. Of course, Photoshop isn’t all about slimming down the love handles on celebrities gracing magazine covers -- it can do virtually anything you could ever want to do with a digital image! Some of the more powerful features of Photoshop can only be utilized after much trial and error or through web tutorials -- but there also are plenty of tools that even the newest Photoshop user can master! The first thing you should do is get the latest version of Photoshop and download it for a 30-day trial. That way you don’t have to spend hundreds of bucks to try out the great features of Photoshop. You also can decide whether or not you want to start saving your money to buy the program once you see all of the cool things you can do! Here are just a few things that even the most technologically-impaired college girl can pull off with Photoshop. The Color Splash effect is one of the most popular in photography, and it’s made super simple with Photoshop. There are a ton of different ways to achieve this effect, but this is just an easy way to get that pop of color in a black and white photo. The first thing you’re going to do is make a duplicate layer of the image you want to edit. That duplicate layer is the one we’re going to be playing around with. All you have to do to turn the image into black and white is go to Image > Adjustments > Black & White and hit OK. After that, you’ll see the image in black and white. What we’re going to do is simply erase the areas on the duplicate that we want in color. So, using the Eraser tool (E) with a soft, round brush, erase the areas you want to show up in color. With that, you should have pops of color amidst your black and white photo -- making for a lovely eye-catching effect! With the Clone Stamp Tool (S), you can get rid of anything unwanted with the texture you already have on screen! This can be used to soften blemishes or as demonstrated in my photo, clean up backgrounds. Here I’ve gotten rid of some railings in the background and replaced them with the tree textures. When using the clone stamp, you alt+click on an area and then click at the angle and distance you want the stamp to apply to the area. You can then brush away entire areas to match the background! This is really easy to do with trees, in my opinion, because their leaves create so many patterns and textures that it’s easy to imitate and not look repetitive. There are many other creative ways to use the clone stamp, though -- as with every tool in Photoshop. Filters in Photoshop are super fun and super easy to use! All you have to do is go to the Filter Gallery under Filter > Filter Gallery, and you’re presented with a bunch of great, creative filters to apply to your photo. You can make your picture look like it was drawn in charcoal or painted in watercolor -- even make it look like stained glass! The filters have lots of great effects and a ton to bring to your images. It’s super easy to make a quick fix for blemishes with Photoshop. The only tools you’re going to need are the Zoom Tool (Z), Eyedropper (I) and Paint Brush (B). After you’ve brought up your image in Photoshop, you’ll need to make a new layer on top of the image. In the layer widget, it will be a button on the bottom that says ‘Create a new layer.’ Once you’ve done that, bring the opacity of the layer down to about 70 or 60 percent with the slider at the top of the layer widget. Go ahead and set your brush tool’s opacity down to 40 percent while you’re at it. Then, all you have to do is use the eyedropper to pick up your desired shade of digital concealer, and use the soft round brush to even out your skin! It’s almost like using makeup, but it’s all on the computer. If the intensity of the layer is too much, just bring the opacity down a notch and you should be good to go! Because you probably haven’t gotten the hang of editing photos just yet, it’s great to start out with Photoshop Actions. You can view the actions bar when you go to Window > Actions (or alt+F9) and check out some of the most basic actions Photoshop gives you. Quite a few actions are available on the internet for free; for example, DeviantArt hosts some really great actions for download. Most artists like their work to be credited, so always make sure when you post your edited photo on the internet that you give credit to the person who made the action! (The action I used in the example is Photoshop Action 15 by ~miss-etikate on DeviantArt.) After you’ve opened up the action window, all you do is click the little play button and there you have it! Keep in mind that these nifty ideas are just the tip of the iceberg when it comes to all that Photoshop has to offer. However, these are a great start for the casual photo editor just looking to play around with their 30-day Photoshop trial. They’re basic but powerful how-to’s that will take your photos a long way from the plain and boring! If you find yourself loving all of the things Photoshop can do for you, it might be wise to invest in the full version. It’s pricey, but you can often get great student discounts -- and if you’re in a field that calls for it, or even just an avid photo hobbyist, it’s one of the best purchases you’ll ever make! This article is insulting towards women. Please take it down. I'm sorry, but how is this insulting towards women? What is wrong with editing photographs? Most of the functions the author is talking about is very general - photographers, designers, etc. 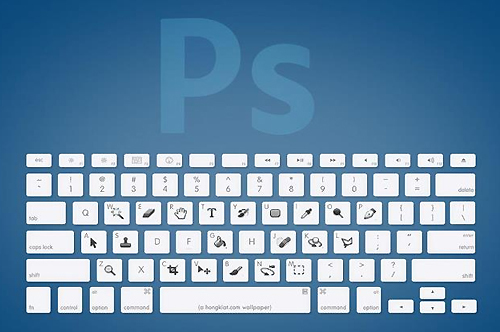 all use Photoshop and use these functions! Whether you're trying to touch up a photo of yourself or a picture of a landscape you took, I really don't understand how it's insulting. This article is worse than the Barbie from the 90s that said "Math is tough". How is using Photoshop implying that women are dumb? Should we leave all photography, graphic design, and photo editing up to men? If you changed this to 5 reasons why I love photoshop, it would be less presumptuous and the reaction would be better. Just because you love these features doesn't mean the entire college female population would.